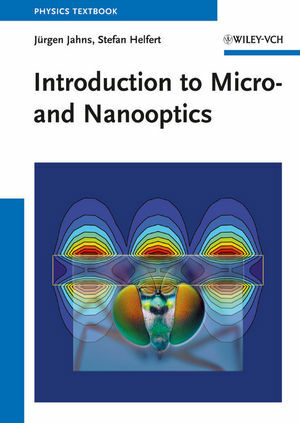 This first textbook on both micro- and nanooptics introduces readers to the technological development, physical background and key areas. The opening chapters on the physics of light are complemented by chapters on refractive and diffractive optical elements. The internationally renowned authors present different methods of lithographic and nonlithographic fabrication of microoptics and introduce the characterization and testing of microoptics. The second part of the book is dedicated to optical microsystems and MEMS, optical waveguide structures and optical nanostructures, including photonic crystals and metamaterials. Each chapter includes exercises illustrating a sample approach to new and complex topics, making the textbook suitable for lectures on optics as part of a physics or electrical engineering course. Jürgen Jahns is Professor for Optical Information Technology at the University of Hagen. His fields of activity in micro- and nanooptics are systems integration, diffractive optics, optical computing, and sensorics. Before entering the academic career he spent almost a decade in industrial research at Siemens AG, München and AT&T Bell Labs, NJ (now Alcatel Lucent). He is author of several books on Microoptics and Advisory Editor of the Journal of the Optical Society of Korea. Stefan Helfert is Adjunct Professor for Electrical Engineering at the University of Hagen. He dedicates his activities to the development of optical wave guides, microoptical components and integrated optics.